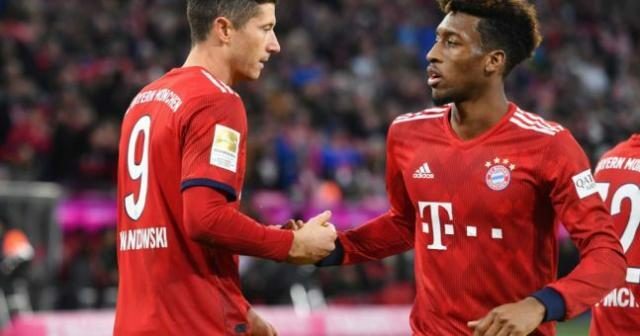 Bayern Munich boss, Niko Kovac has played down a training ground clash of heads between Robert Lewandowski and Kingsley Coman. The coach revealed that there had been “a scuffle” between both players but no further decision would be taken on the matter. Bayern clinched top spot once more in the Bundesliga with a 5-0 win over Borussia Dortmund last weekend, moving a point clear of their rivals.